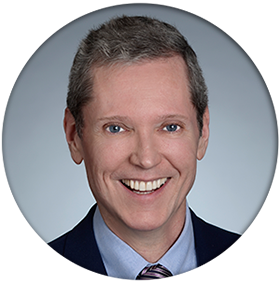 Dr. Stephen C. Phillips (PSY17868) is a licensed psychologist in Beverly Hills, California. He performs individual and couples therapy and practices criminal and civil forensics. Dr. Phillips is a Past President of the Los Angeles County Psychological Association and a former member of the California Psychological Association’s Ethics Committee. In 2013, Dr. Phillips was appointed to the California Board of Psychology, the licensing and regulatory board for psychologists, by Governor Edmund G. Brown, Jr. In 2016, he became President of the Board of Psychology. Dr. Phillips is also a member of the California State Bar (SBN101223). Dr. Phillips’ clientele is drawn from a variety of walks of life, including medical and legal professionals, people in the entertainment industry, those struggling with or recovering from chemical or behavioral addictions, members of the gay and lesbian community, late adolescent males, other psychotherapists, and persons seeking therapy as a result of criminal behavior. In addition, Dr. Phillips is a frequent forensic consultant and expert in criminal matters, primarily in federal court, and civil litigation. He is a popular presenter at continuing education courses on a variety of topics, including ethics, clinical supervision, diversity concerns, and chemical and behavioral addictions. Dr. Phillips enjoys faculty appointments at the California School of Professional Psychology – Los Angeles and the Wright Institute Los Angeles, a psychoanalytic postgraduate training program and community mental health clinic, where he also serves as a member of the Board of Directors and is its former chair. Prior to entering clinical psychology, he was a partner in a Century City law firm. He is also a volunteer supervisor and instructor at a variety of community mental health agencies. Besides conducting his own practice, Dr. Phillips frequently is called upon to supervise and consult with psychologists in training and licensed mental health professionals. For further information regarding Dr. Phillips, his experience and his qualifications, view his resume. Dr. Phillips offers individual and couples therapy. He has specialized experience working with chemical and behavioral addictions, such as alcoholism, drug addiction and sexual compulsion/addiction, mood disorders, such as depression, dysthymia and bipolar disorder, anxiety disorders, dissociative processes, personality disorders, relationship problems, stressful occupations, and mental health issues arising out of or informed by sexual orientation. Because of his legal background and many years of experience in the criminal justice system, he also offers therapeutic services to individuals facing criminal charges and is often retained as a forensic consultant and expert in criminal and civil matters. Dr. Phillips is available to other mental health professionals seeking short term consultation or an ongoing supervisory relationship. Dr. Phillips does not take insurance as payment for his services, but provides the documentation necessary for individuals to process claims with their insurers. Stephen C. Phillips, J.D., Psy.D. Parking is readily available. The building in which the office is located provides valet parking until 7:00 p.m., although validation is not available from the therapists. The entrance to the parking structure is on La Peer Drive, immediately south of Wilshire. Before 6:00 p.m., there is time limited parking available on side streets in the vicinity of the office building. After 6:00 p.m., street parking is more widely available in closer proximity to the building. Please take note that no parking is allowed on Wilshire between 3 p.m. and 7 p.m. on weekdays.